A spokesperson for the company says they are working to address vegetation issues that may be causing the outages. They are also looking into trimming trees in the area and making sure they are maintaining a right of way for the power line to prevent further issues. PUTNAM COUNTY, Ind. 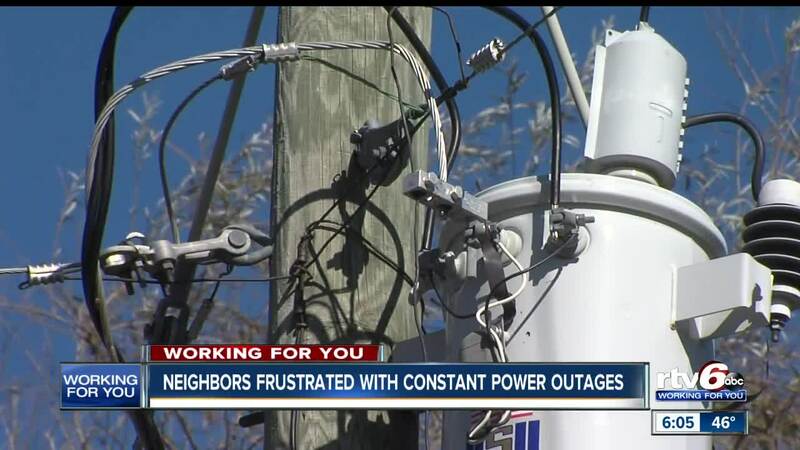 — Residents in parts of Putnam County feel powerless as they deal with constant power outages they say have been going on for years. People living in the area near State Road 42 and 1275 South say the outages happen about twice every month and in some cases, they're left without power for up to four days at a time. One resident says their power company, REMC, told them it was the price he has to pay for living in the country. REMC said the problem is caused by a Duke Energy transmission outage and that the area where the customers are constantly without out power is on an electric grid. When that Duke Energy transmitter has problems, REMC said their customers are also affected. A spokesperson for the company says they are working to address vegetation issues that may be causing the outages. They are also looking into trimming trees in the area and making sure they are maintaining a right-of-way for the power line to prevent further issues.